Shake off the sleep of winter and join me for a magical week in Tulum! 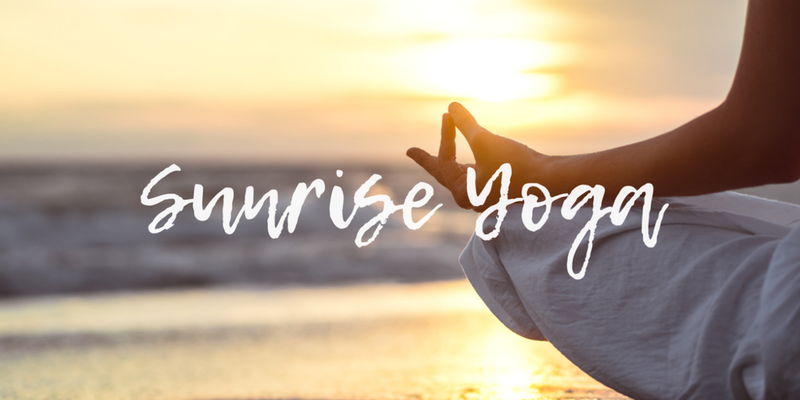 We'll practice yoga at sunrise and sunset on a roof terrace looking out on the turquoise waters of the Caribbean Sea, meditate on white sandy beaches, nap under the shade of palm trees, and take in the expansive, starry sky above – far from the hectic pace of everyday life. We’ll also explore the dynamic, rich culture of the Yucatan through its delicious cuisine and group outings to Mayan ruins and cenotes — cave system waterholes that are a magical feature of the peninsula. The week will include plenty of “YOU” time — snorkeling, kayaking, paddle-boarding, reading — or simply daydreaming and coming home to yourself. Join us for an unforgettable experience of community and practice in a landscape of ancient and natural wonder. Scroll to the bottom for registration details. Our week will be spent in a beautiful beach front home with all of the amenities you need to relax and rejuvenate. Enjoy 3 meals a day prepared by the in-house chef in addition to coffee, tea, and refreshments which are provided throughout the day. A complimentary massage will be gifted to you during your stay, and the private beach is equipped with bicycles, snorkeling gear, and paddle boards to use at your leisure. I'll lead two yoga classes per day, at sunrise and sunset. Payment plans available! Email retreats@breadandyoga.com to inquire.